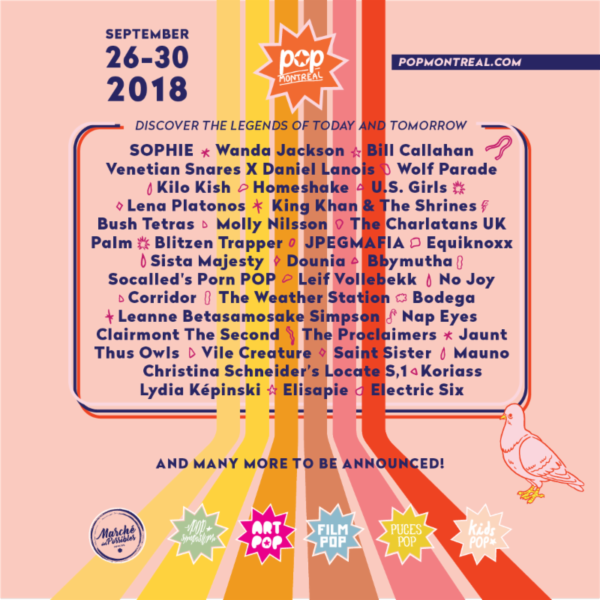 Pop Montreal International Music Festival is just around the corner, and today, the organizers of the festival announced the complete official program of its 2018 edition. The festival spans five days and will include music, art, talks, cinema and creativity of all kinds and it starts September 26th and continue to September 30th. Some of the musical acts lined up to perform at this year’s POP include CupcakKe, Zola Jesus, Alanis Obomsawin, Ninos du Brasil, Odonis Odonis, Devon Welsh (Majical Cloudz), Arcade Fire member Richard Reed Parry’s Quiet River, and Elle Barbara’s Bosom Confidante, among others. They will be joining previously reported lineup which included likes of SOPHIE, Wanda Jackson, Bill Callahan (f.k.a. Smog), Venetian Snares X Daniel Lanois, Wolf Parade, Kilo Kish, Homeshake and U.S. Girls. According to a Twitter post, 35% of the artists selected to perform at this year’s event was selected via an open submission process. 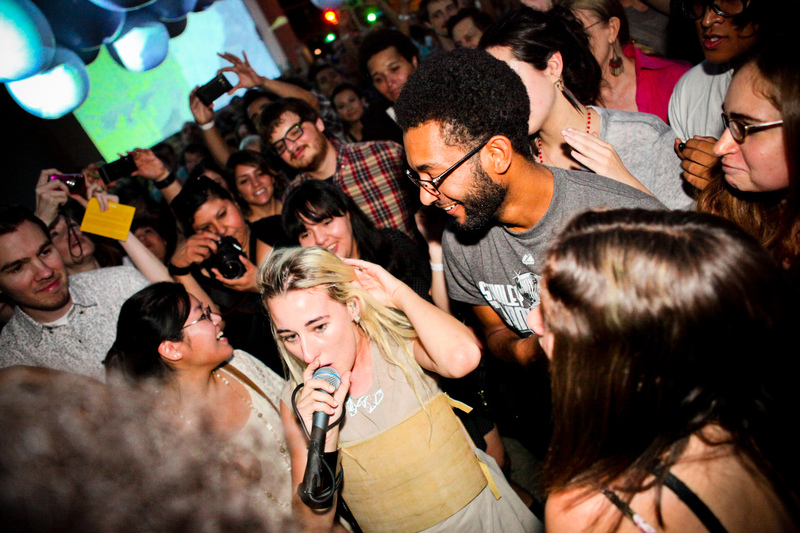 Unlike other music festivals, POP Montreal has something for everyone. No one will feel left out at POP, which includes several different segments, such as Film POP, Art POP, POP Symposium, Puces POP, and Kids POP, so whether you love film, art or music, there will be something for you to do. There are four ways to purchase your tickets for this year’s Pop week-long event. The Discovery pass, which comes out to $115, gives ticketholders priority access to shows at the festival, the ability to skip lines and the pass will include access to 400 bands, art, film premieres, artisanal fair, conferences, food access and much more. Single day passes are available for $10-60 each. The Pop Hopper, which is an additional $15, gives access to all shows for one day at the festival. This upgrade provides the opportunity to see many other performances on the same evening. On top of a POP Montreal show ticket, by adding the extra $15, allows you to roam from venue to venue, pretty much anywhere your heart takes you. If you are feeling like a festival pro, go down the Delegate Pass road. At $400, this pass gives ticket holders the chance to network with the top music industry buyers from all over the world as well as perks such as, exclusive invitations to daily cocktails, daily tips from POP’s musical programmer, intimate networking session, priority entry to all festival shows and events, and much more. For more information on all things POP Montreal, check out the official festival website.